WAWLLET launched an ICO for up to 89 million of its WIN Tokens, at $3 USD per Token, including a reservation of $35m USD worth of Tokens for issuance (with a lock-in period of up to 18 months) pursuant to an agreement with an EU listed Venture Capital firm. WIN Tokens are being delivered to buyers with multiple safety checks in place, which ensure that the Tokens are being distributed securely and promptly. 44 million Tokens are available on the Public ICO, with 45 million Tokens available in a VC and Hedge Funds session. 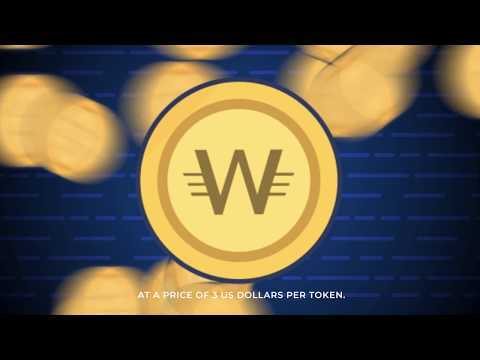 WAWLLET have already sold over $1,000,000 USD worth of WIN Tokens since the 29th of January, suggesting a strong public cryptocurrency investor interest in WIN Tokens. 180 seconds KYC approval . Instant IBAN issuing. Multi-currency accounts. Multi-Bank integration. 60 seconds approval. Multi-Account debiting. Instant crediting.Custom made debit cards. Commodity trading. Physically Vault Storage. International Shipping. Multi-Crypto-Wallet. Independent E-Wallet API. One-touch access. Cold storage. Pitching Project and Core Team Building. ICO Marketing Setup. Strategic Partners and Advisory Board. Development of White Paper 2.0. ICO PR and Advertising Campaign.Technology Research and Architectural Development.Strategic Service Provider Partnership (Banks, Exchanges, Traders, Vaults). Legal Research and Operational Entity Establishment. Technical Research Branch Establishment (Country - TBA). Third Party Strategic Service Provider Integration. Operational Entity / Center / Branch Establishment.Licencing Process in first Identified countries. WAWLLET launch - marketing campaign. Beta Version. WAWLLET Live - General Availability.